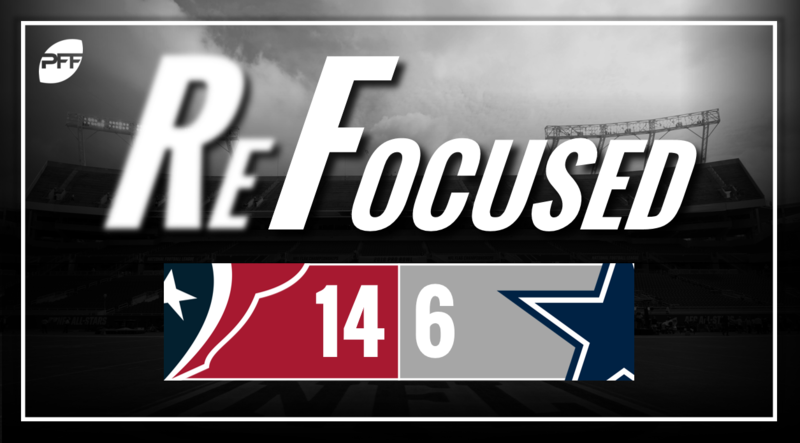 The Houston Texans defeated the Dallas Cowboys on Thursday evening, 14-6 continuing the fourth full week of preseason action in the NFL. The Dallas skill players struggled to make easy catches on several occasions, while other times poor ball placement by the Cowboys’ quarterbacks made catches harder than they needed to be. Making sure Dak Prescott stays healthy this season will be key for the Cowboys because their backup options leave a lot to be desired if this game is anything to go by. Cooper Rush struggled with accuracy, and made a couple of poor reads and decisions, leading to two interceptions. Mike White was better, but again had issues with accuracy, sometimes on easy throws. Defensive tackle Caraun Reid stood out in run defense and seemed like the most difficult defender for the Texans to block. Lewis Neal also had a solid game in run defense. Joe Webb was the better of the two Houston backups to play on Thursday night. He made a few nice throws down the field and had a couple of good pickups in the read-option run game. Meanwhile, Brandon Weeden did very little with his playing time, featuring multiple inaccurate throws. Running back Terry Swanson, an undrafted rookie out of Toledo, showed good speed to rattle off a couple of big runs. Whether it secures him a roster spot remains to be seen, but he played well in his first significant playing time this preseason. Cornerbacks Dee Virgin and Andre Chachere seemed to be around the ball often. Virgin made a couple immediate tackles for short gains, while Chachere broke up multiple passes. The Texans didn’t get all that much pressure against the Cowboys offensive line. Davin Bellamy had a couple of pressures later in the game but it was a fairly quiet night for the front seven. Dallas: The Cowboys run game with their backups is far off the pace of their starters, even when going against other backups. Their lack of ability to run consistently put even more pressure on the quarterbacks to do well in the passing game. Houston: The Texans secondary stepped up to limit the Dallas passing game, and made some big plays with an interception and a handful of pass breakups.